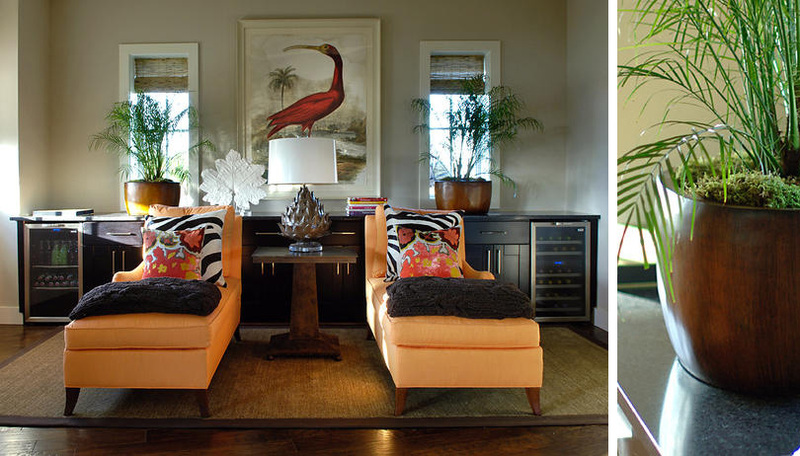 have certain color and furniture combinations that can make them look just like a tropical heaven. 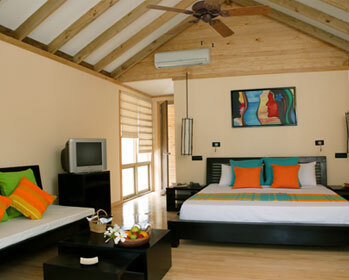 Tropical style rooms will always feel very warm, inviting and draw people in to relax and enjoy a “holiday at home”. 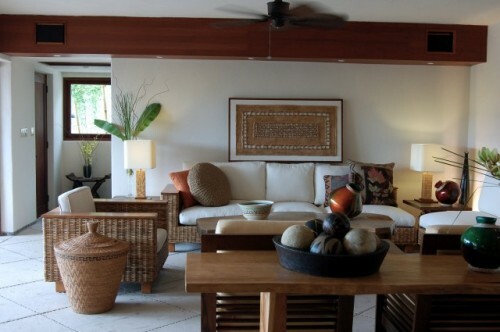 Bright colored accents like orange, blue, red, yellow and green are combined with natural wood furniture. The basic feel of the room is that of happiness and tranquility, which is achieved by combining the bold accents with generally clean and crisp white sheets. Also note the ceiling fan – ceiling fans, especially made from (again) natural materials, will certainly transport your room into the Tropics. Something that will always help to bring the tropical feel into your home are tropical plants like palms, or tropical ferns. They can be real or artificial as long as they do look real. 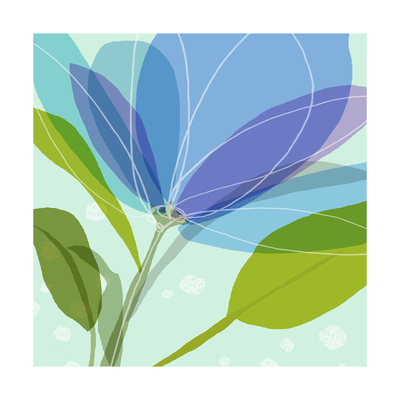 Put them in big pots inside or out, and you will have an instant transformation.